PLANS to upgrade waste management and recycling facilities across Inverell Shire received a major boost today with Northern Tablelands MP Adam Marshall announcing a $549,780 for Inverell Shire Council from the NSW Government’s Waste Less Recycle More initiative (WLRM). Mr Marshall said council would use the funds to complete three projects at Oakwood, Wallangra and Yetman. “I am very pleased to announce such significant funding for council to undertake some important works to improve waste management and recycling services for the community,” Mr Marshall said. “The dilapidated landfill sites at Oakwood and Wallangra will be closed off, properly capped and remediated. 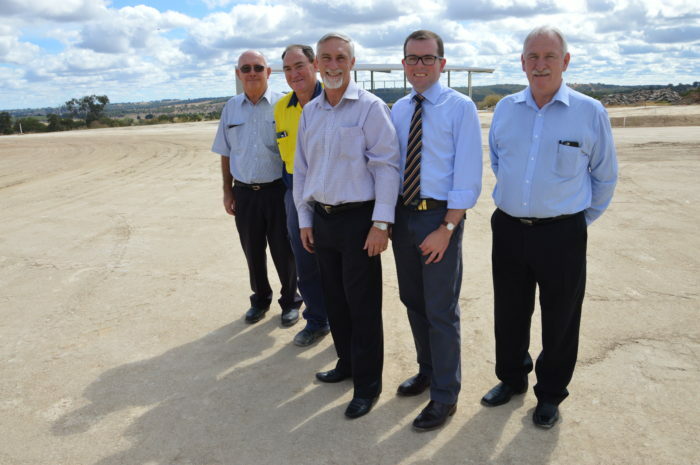 At Yetman, Mr Marshall said council would convert the existing landfill site into a modern waste transfer station. “The project involves the sealing and capping the existing landfill constructing a new transfer station which will enable locals to drop off and sort their recyclable materials from their rubbish,” he said. “Since April last year, council has received more than $1.2 million from this fund for a range of waste management improvement projects, including the new Community Recycling Centre in Inverell, which should be completed soon,” he said. Uralla Shire Council was also successful in this round.